Bristol County was created by the Plymouth Colony on June 2, 1685, and named after its "shire town" (county seat), Bristol. The Plymouth Colony, along with the Massachusetts Bay Colony, the Maine Colony and several other small settlements were rechartered in 1691, by King William III, to become The Province of Massachusetts Bay. The towns of Bristol, Barrington, and Warren were awarded to Rhode Island in 1746 as part of the settlement of a long-running boundary dispute (see History of Massachusetts), forming Bristol County, Rhode Island. At the same time, Cumberland, Rhode Island was carved out of Attleborough, Massachusetts and annexed to Providence County, Rhode Island; Tiverton and Little Compton were transferred to Newport County, Rhode Island. East Freetown was officially purchased by Freetown, Massachusetts, from Tiverton in 1747, and so remained on the Massachusetts side. After the departure of Bristol, Taunton was made the shire town of the county. A second county courthouse was constructed in 1828 in the growing town of New Bedford (designed a "half-shire town"). 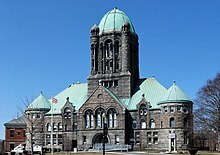 In 1862, a part of Seekonk (that portion of which is now East Providence, Rhode Island) and the entirety of East Pawtucket were transferred to Providence County, Rhode Island. At the same time, land ceded from Rhode Island was added to Fall River and Westport. The growing Fall River became the site of the third county courthouse in 1877. According to the U.S. Census Bureau, the county has a total area of 691 square miles (1,790 km2), of which 553 square miles (1,430 km2) is land and 138 square miles (360 km2) (20%) is water. The highest point in Bristol County is Sunrise Hill (Watery Hill) at 390 feet (120 m) above sea level located in World War I Memorial Park in North Attleborough. It is also to note that Bristol, Plymouth and Taunton are all places in South West England. Their Massachusetts cousins were named after the originals as South West England was the focal point for sailing and discovery at the time of America's discovery. John Cabot set sail from Bristol and sailed down the Severn on which lies Newport in Wales. He then stumbled across mainland U.S.A. In the county, the population was spread out with 24.60% under the age of 18, 8.50% from 18 to 24, 30.50% from 25 to 44, 22.20% from 45 to 64, and 14.10% who were 65 years of age or older. The median age was 37 years. For every 100 females, there were 92.40 males. For every 100 females age 18 and over, there were 88.50 males. The Bristol County Sheriff's Office maintains its administrative headquarters and operates several jail facilities in the Dartmouth Complex in North Dartmouth in Dartmouth. Jail facilities in the Dartmouth Complex include the Bristol County House Of Correction and Jail, the Bristol County Sheriff's Office Women’s Center, and the C. Carlos Carreiro Immigration Detention Center. The office also operates the Ash Street Jail and Regional Lock-Up and the Juvenile Secure Alternative Lock Up Program (JALP) in New Bedford. The Bristol County House Of Correction and Jail has room for 1,100 prisoners. It houses men convicted of crimes who have been sentenced to 2 1/2 years or less. It also houses high-security male pre-trial prisoners, high-security female prisoners, and pre-trial female prisoners. The women's center, a medium security jail, can house up to 106 women. The self-contained women's center had opened as a minimum security pre-release center for male prisoners in 1990 which could house up to 106 prisoners. When it was a pre-release facility it only housed an average of 60 prisoners because the county sheriff imposed strict conditions upon the pre-release program. In 1999 the sheriff received a federal grant to convert the pre-release center into a women's center, and he moved the pre-release program to modular units at the main jail. The Carreiro jail houses detained individuals who are scheduled for deportation and individuals who are engaging in proceedings with the Immigration and Customs Enforcement (ICE). The Ash Street jail houses over 200 pre-trial prisoners and a few sentenced inmate workers for the system. JALP houses up to 12 pre-arraingment juvenile prisoners. 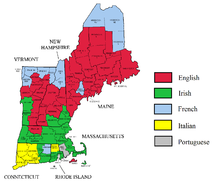 ^ "U.S. Census Bureau QuickFacts: Bristol County, Massachusetts". Census Bureau QuickFacts. Retrieved 23 April 2018. ^ "2010 Census Gazetteer Files". United States Census Bureau. August 22, 2012. Archived from the original on September 14, 2014. Retrieved September 15, 2014. ^ "U.S. Decennial Census". United States Census Bureau. Archived from the original on May 12, 2015. Retrieved September 15, 2014. ^ "Historical Census Browser". University of Virginia Library. Retrieved September 15, 2014. ^ "Population of Counties by Decennial Census: 1900 to 1990". United States Census Bureau. Retrieved September 15, 2014. ^ "Census 2000 PHC-T-4. Ranking Tables for Counties: 1990 and 2000" (PDF). United States Census Bureau. Retrieved September 15, 2014. ^ a b c d "Facilities." Bristol County Sheriff's Office. Retrieved on January 30, 2012. "400 Faunce Corner Road, Dartmouth, MA 0274" and "Bristol County House Of Correction and Jail 400 Faunce Corner Road North Dartmouth, MA 02747" and "Bristol County Sheriff's Office Women’s Center 400 Faunce Corner Road North Dartmouth, MA 02747" and "C. Carlos Carreiro Immigration Detention Center: 400 Faunce Corner Road North Dartmouth, MA 02747" and "Juvenile Secure Alternative Lock Up Program 323 Mill Street New Bedford, MA 02740 " and "Ash Street Jail and Regional Lock-Up 226 Ash Street New Bedford, MA 02740 "